Boice, James Montgomery & Ryken, Philip Graham. 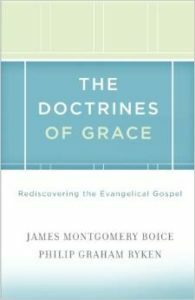 The Doctrines of Grace: Rediscovering the Evangelical Gospel. 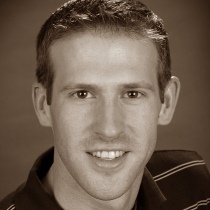 Illinois: Crossway Books. This is the first book I’ve ever read on Calvinism. I believe it would be beneficial for the non-Calvinist who wants to understand what Calvinism is according to a Calvinist. I think it would also be beneficial to the person who is connected with a Calvinist church but isn’t clear on exactly what the doctrines of grace are and what it means to be a Calvinist; in other words, you’re not sure you’re a Calvinist. For those who love the doctrines of grace, this book will be a refreshing, devotional reminder of the gospel you cherish. For those who do not, you may find your understanding of the gospel challenged fundamentally. This is all the more reason to read this book. This being the first book I’ve read which attempts to present Calvinism systematically, I can’t helpfully compare it to alternatives. But I can testify that this book is basically a helpful and accurate explanation of the doctrines of grace as I understand them. If you read it, may God be glorified in the read.